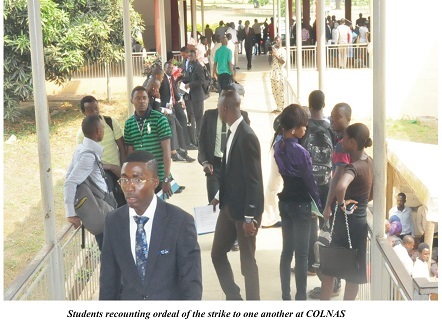 Barely two weeks after the Academic Staff Union of Universities called off its strike, normalcy has returned to the Federal University of Agriculture, Abeokuta (FUNAAB), as newly-admitted students of the University have resumed and commenced registration in their various Colleges and Departments. 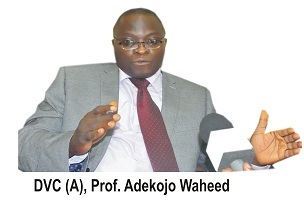 Giving an insight into what to expect in the current academic session, the Deputy Vice-Chancellor, Academic, Professor Adekojo Waheed, said that FUNAAB was fully prepared for the session and had put in place; necessary machinery to ensure a hitch-free academic session. According to him, “this is a great University and we always think high. We want to be at the top always, not just in this country but we want to compete with the best Universities in the world. So, we have actually set everything in order. As a matter of fact, our fresh students just resumed on campus and the first thing is to go through the registration procedure”. 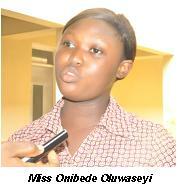 The Deputy Vice-Chancellor, Academic disclosed that the registration process would last about three weeks. The first stage would be dedicated to verification of results which would involve registration at the College and Department level, as well as registration with the Students’ Affairs Office, Health Centre and the University Library. Professor Waheed added that thereafter, there would be the second stage of registration which would involve an intensive Information Communication Technology training for new students, which he said was mandatory because, the University is ICT-compliant. He said that the third and final stage of the registration exercise is the orientation of students which would hold from January 20 and 24, 2014, and will afford the students to get details about the campus and how to make their stay in the University worthwhile. He stated that lectures would begin on Monday, January 27, 2014 for all students. Returning students are expected back on campus on Sunday, January 19, 2014. 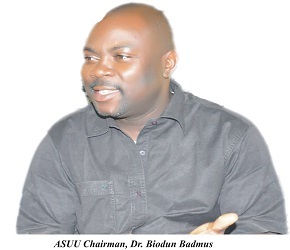 The Chairman of the Academic Staff Union of Universities, FUNAAB Chapter, Dr. Biodun Badmus, added that academic activities had since begun because Academic Staff in the University were fully on ground, attending to students requests. 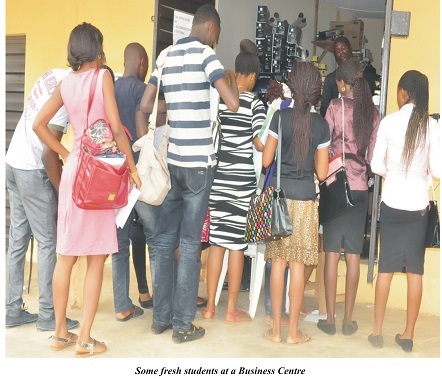 “By and large, we are happy to see our students back on campus and I am sure they are also very happy to see their lecturers”, as he assured that as soon as the registration process was over, “you would see us standing before our students, doing that we know very well to do as our responsibilities as lecturers. We will try to see how we can make adjustments for the lost days and beef-up our students to be able to meet up with the challenges”, he added. In a similar development, newly-admitted students have opened up on what motivated their choice of FUNAAB and their expectations from the University. 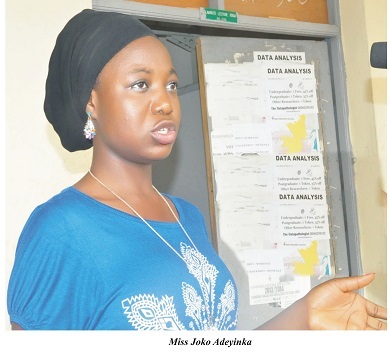 Miss Onibede Oluwaseyi, of the Department of Water Resource Management and Hydrometeorology, in a chat with FUNAAB Bulletin said she chose FUNAAB because the institution is known for producing graduates, who can stand the test of time. Paul Johnson of the Department of Forestry and Wildlife Management, said he chose FUNAAB because the institution is second to none, in terms of academic excellence and hoped that he would receive good and quality education, to bring out the best in him. 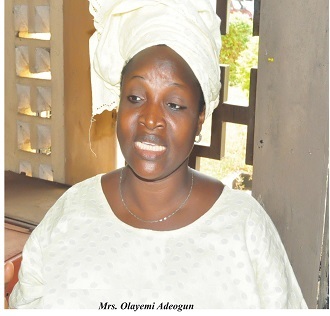 A parent, Mrs. Olayemi Adeogun, whose daughter Ololade Adeogun, was admitted into the Department of Forestry and Wildlife Management stated that she was fascinated by the University’s zero-tolerance for cultism. 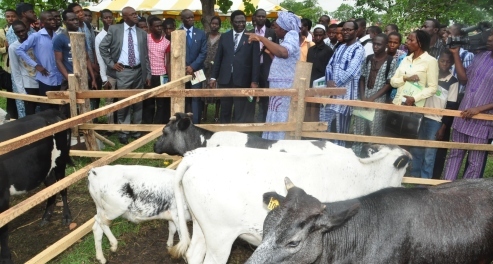 Miss Joko Adeyinka of the Department of Agricultural Administration stated that her choice of FUNAAB was borne out of University’s record of proven academic excellence and integrity and hoped that Professors would be able to replicate themselves, using their rich wealth of knowledge. Meanwhile, the Management of FUNAAB has announced that there is no plan to increase tuition fees in the University.